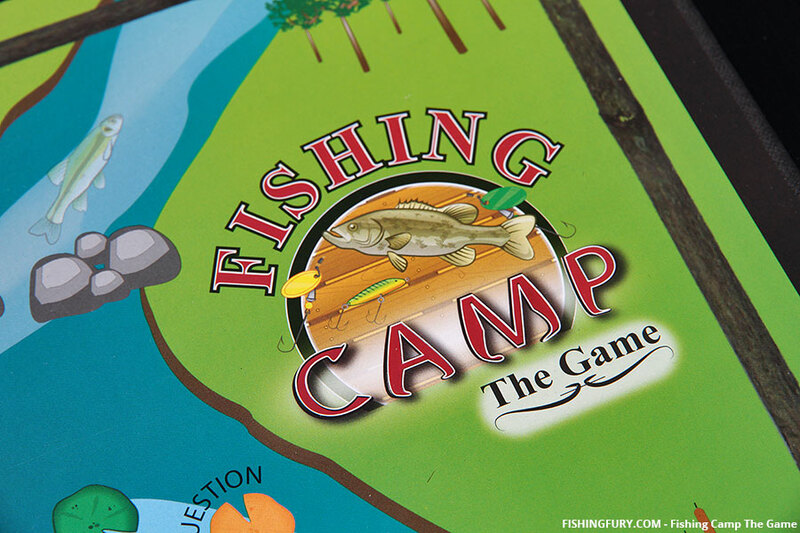 Fishing Camp The Game | Fishing Reviews | FISHING FURY - A Fishing Blog with Attitude! 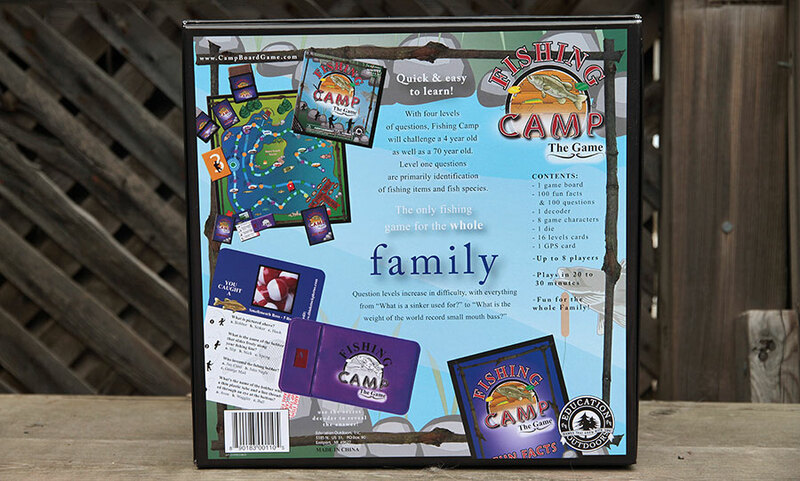 Fishing Camp is an educational trivia-based board game for the whole family made by Education Outdoors. The game retails for $24.99 USD, supports up to eight players at once, and has challenging trivia questions for novices and experts alike. 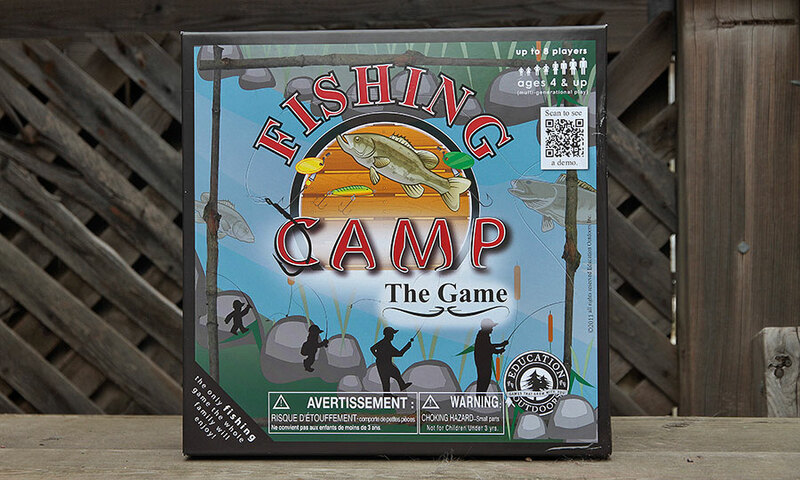 Education Outdoors also makes several other outdoor related games about camping, hunting, even cryptozoology, and donates a percentage of their profits to organizations geared toward educating children and families about the great outdoors. 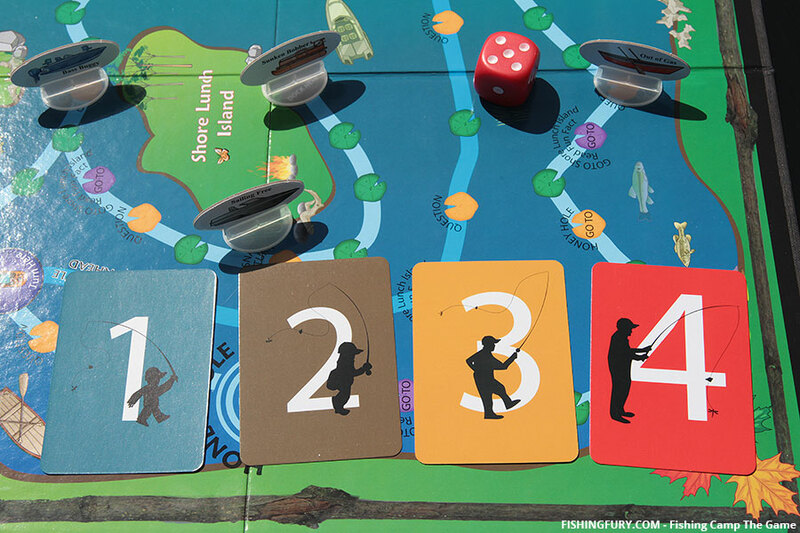 The rules for this game could be really simple, but like so many board games the overly complicated language can leave you with more questions than answers. 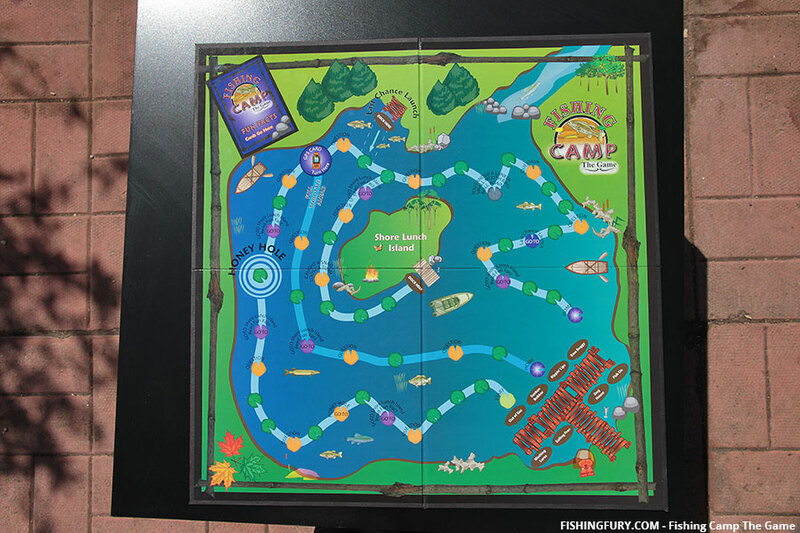 From looking at the board you can see there’s clearly a starting point dock with the names of the boats, and different paths and coloured lily pads around the “lake”. Some have “GO TO” modifiers that will send you back or cause you to “loose a turn.” Yes, that is actually a spelling error printed on the board. Unfortunately it’s not the only mistake, but it’s probably the worst. 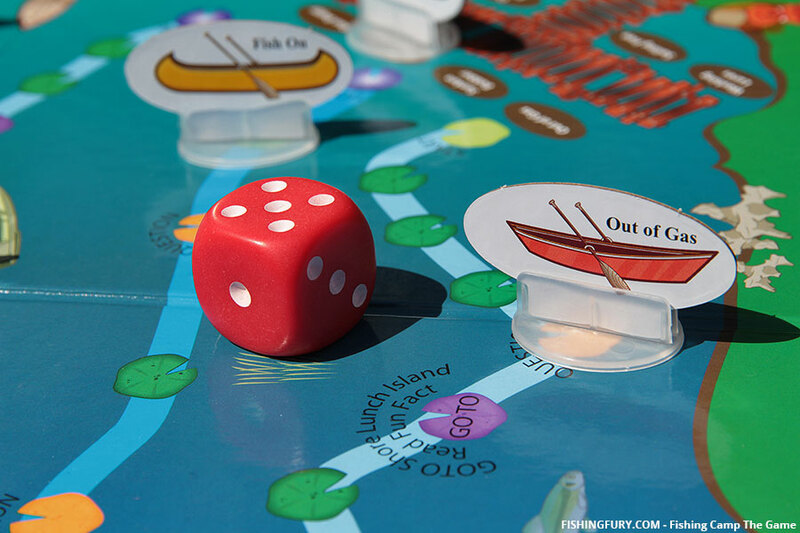 The instructions aren’t that complicated; you roll the dice to move around the lake and answer trivia questions. 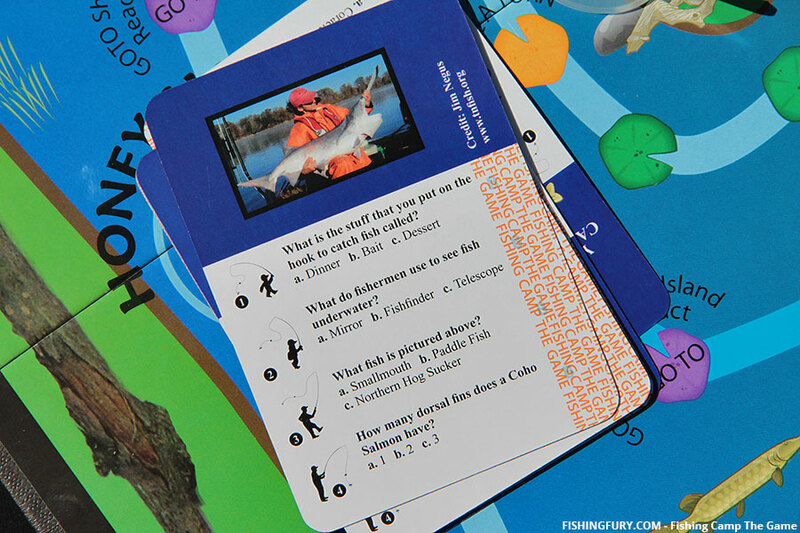 Half of those trivia questions have a fish on them that you “catch” by answering the question correctly. 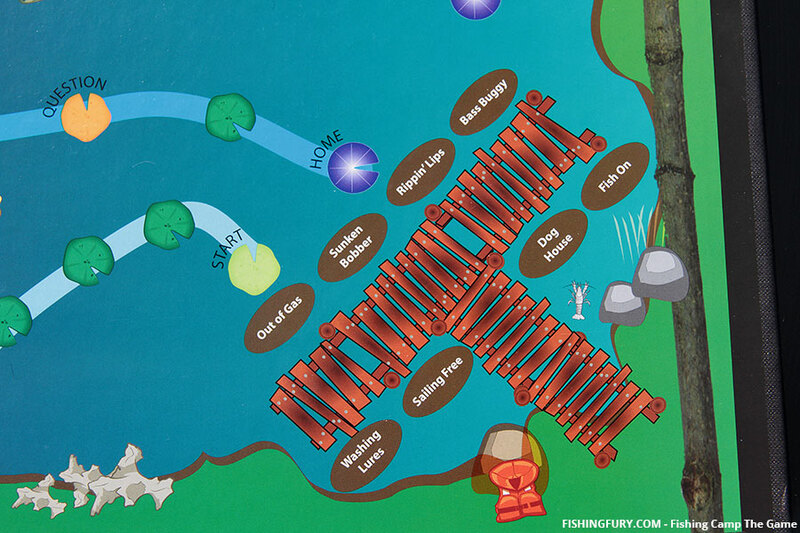 Once you’ve caught a fish race the other players back to the docks to win. There is no good explanation to how one “lands exactly on their docking spot” to win the game. 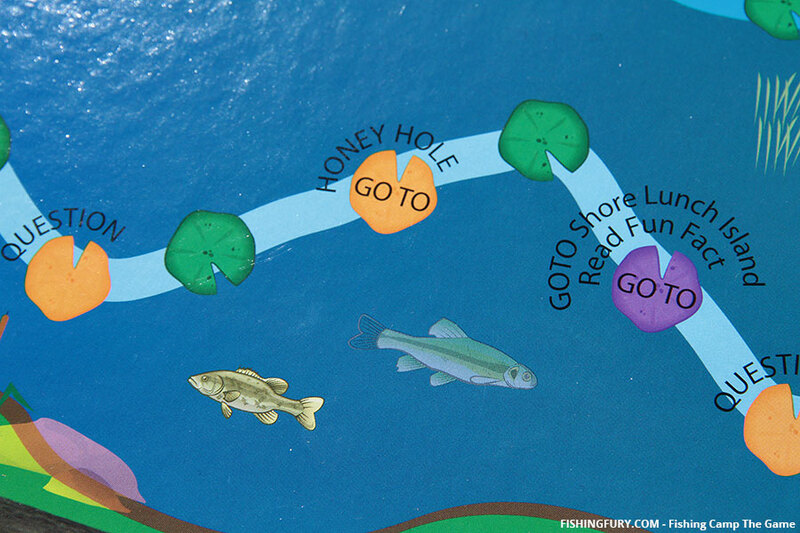 There’s also no mention how you’re supposed to loop around if you haven’t caught a fish or if you didn’t land on your docking spot, exactly. You begin to understand why trivial pursuit was an endless track; nobody makes it around the first time with all their pieces. After a few rounds we started to come up with our own house rules. 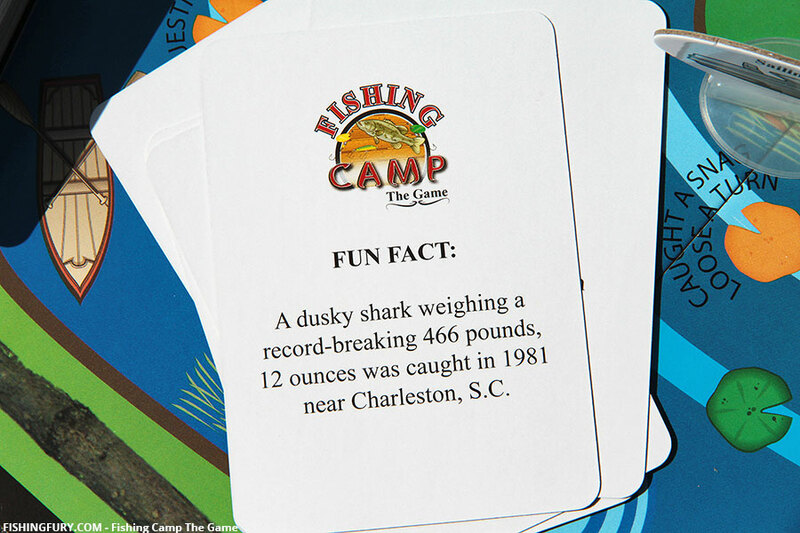 We had bass and musky tournaments, fishing derbies, and even biggest fish tournaments. 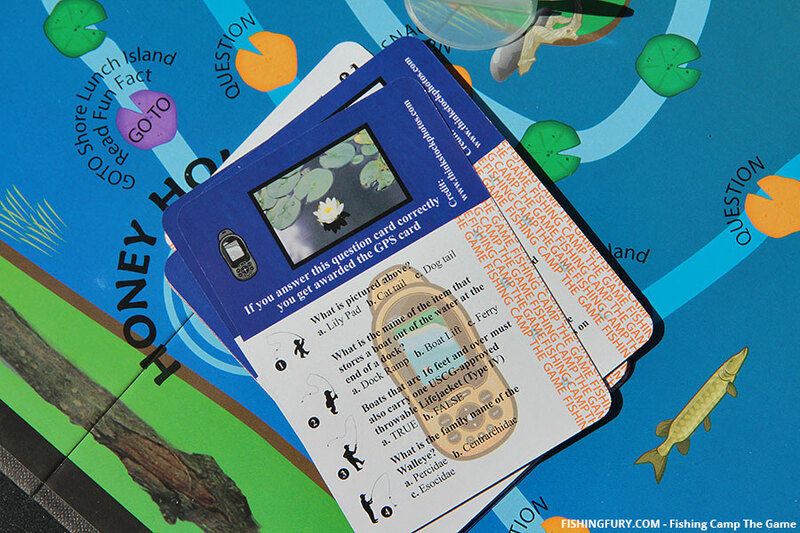 We concocted our own perils and pitfalls if you would be sent back, and even allowed the person with the GPS card to move backwards on the board if they wanted to. 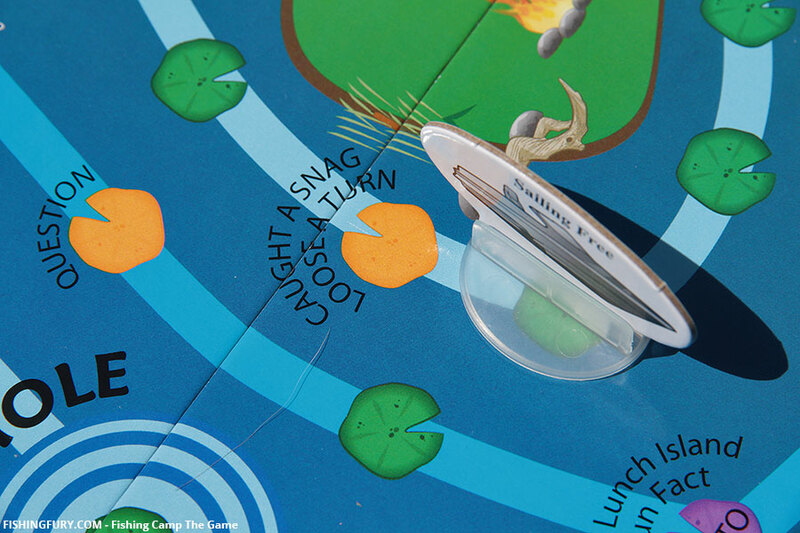 In a sense we invented our own game and it was that fellowship that started to make things really fun. 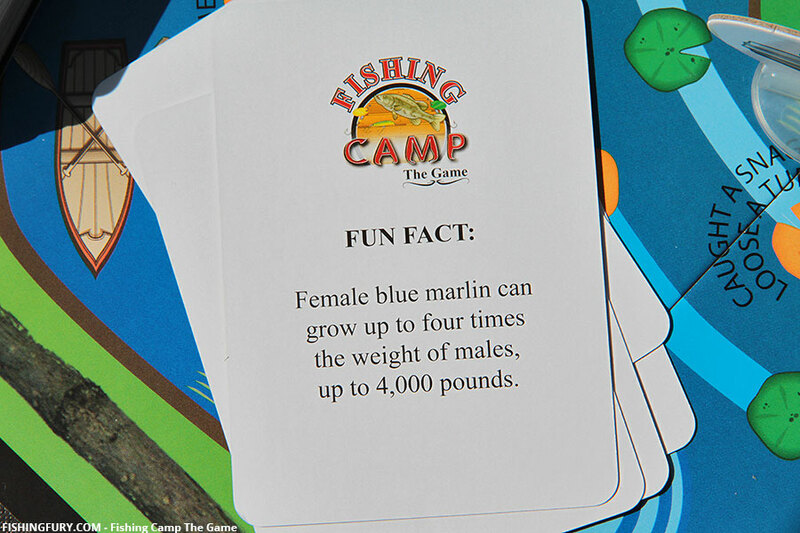 Overall, Fishing Camp was enjoyed by both the adults and children I played with. 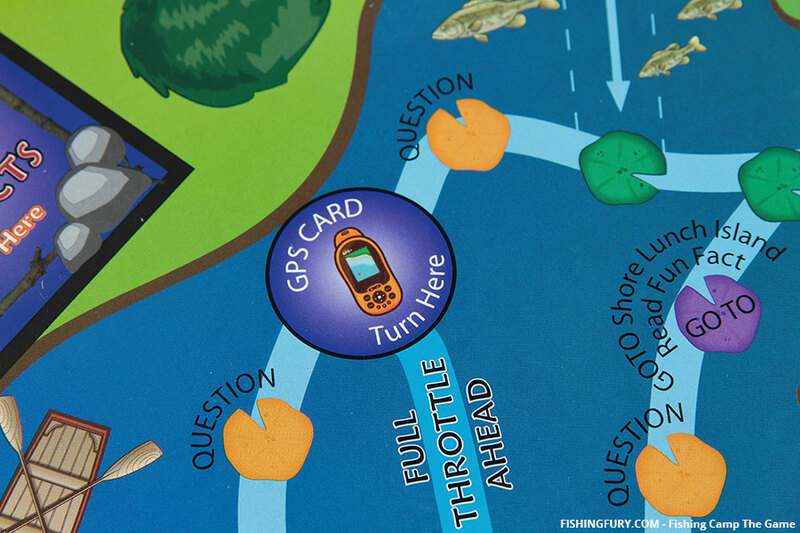 Players interested in fishing will find it entertaining, but many parts of the game feel rushed. 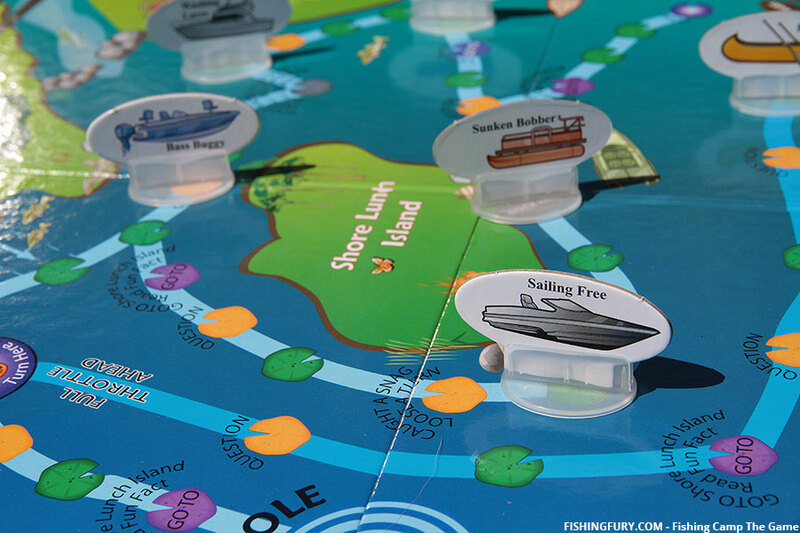 The instructions seem incomplete, there are spelling errors on the game board, and some of the questions are just plain confusing. In the end we made our own rules, we skipped confusing questions, and we ignored the spelling errors. 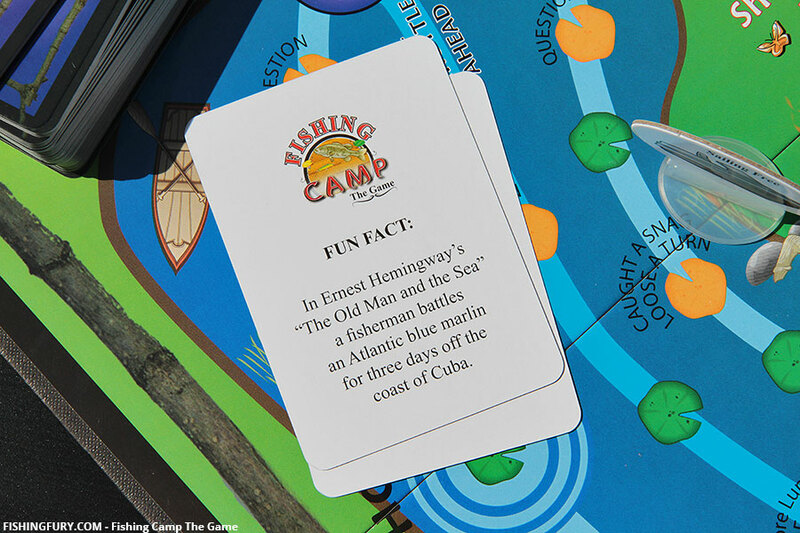 In fact, I would almost argue against the board entirely and would love to see Education Outdoors sell just the trivia and fun fact cards as a travel game. 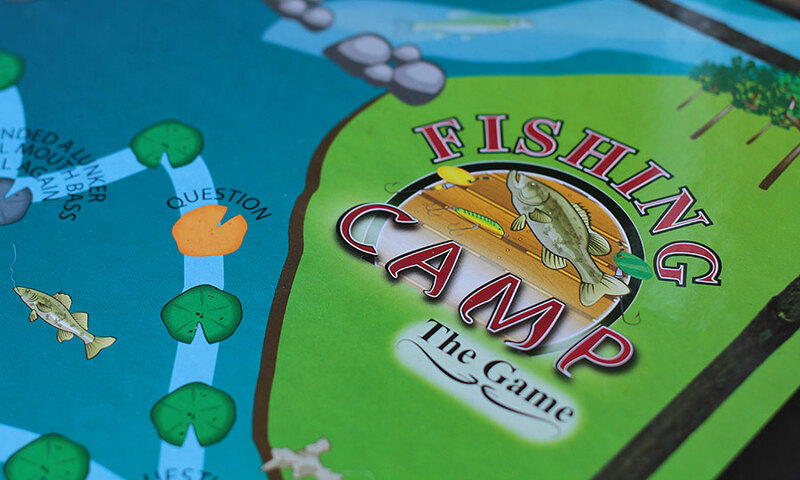 It would make the game portable and adaptable to any situation or gameplay style and it’s a great way to keep the kids occupied on long drives to the cottage. 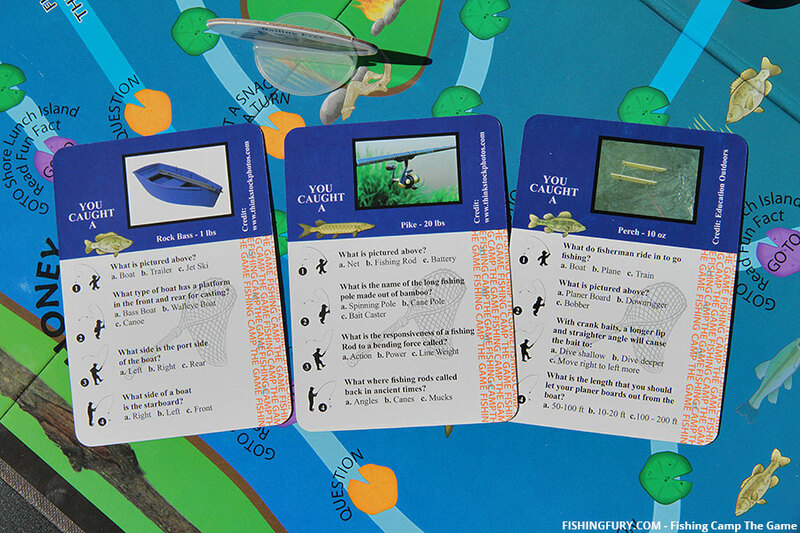 Hopefully they’ll have “caught” some fish before they’re even on the water. 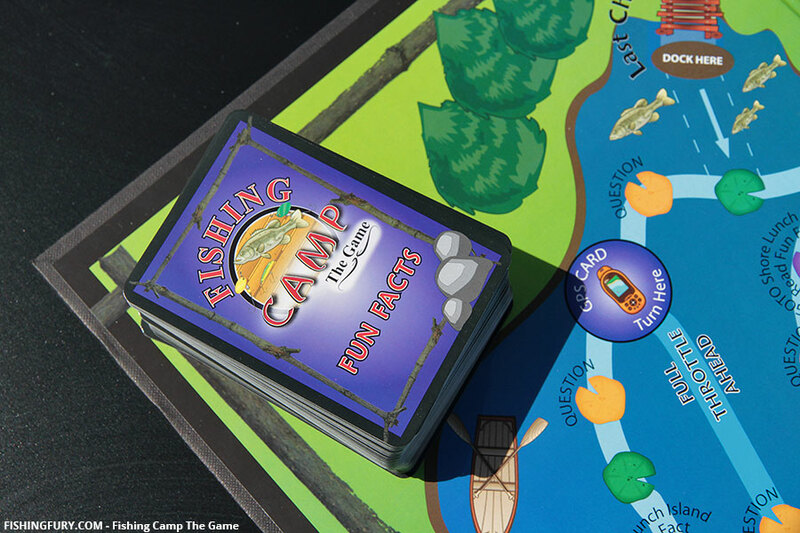 Fishing Camp is fun and entertaining for anglers of all ages, but the rules and gameplay have some rough edges that could be better designed.